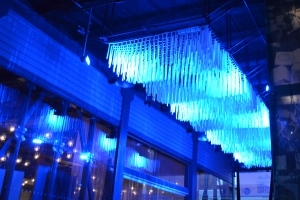 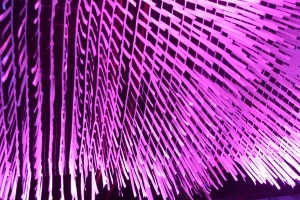 Artists Ruth McDermott and Ben Baxter's installation "Luminous Canopy" creates dynamic patterns, textures and forms in response to changes in the wind. 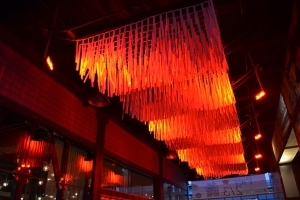 Over a walkway at Walsh Bay hangs a canopy made from a large net, from which 10,000 streamer elements are suspended, each 400 mm long. 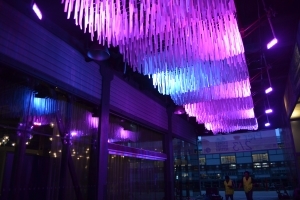 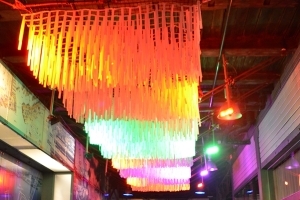 LED lights programmed to change colour illuminate the canopy from both sides. 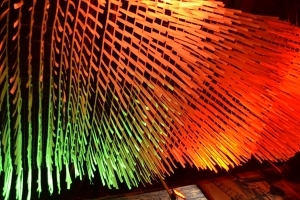 As participants pass underneath, they hear tones from a natural soundscape and, looking up, see colour and changing surface patterns linked to the movements of the breeze.